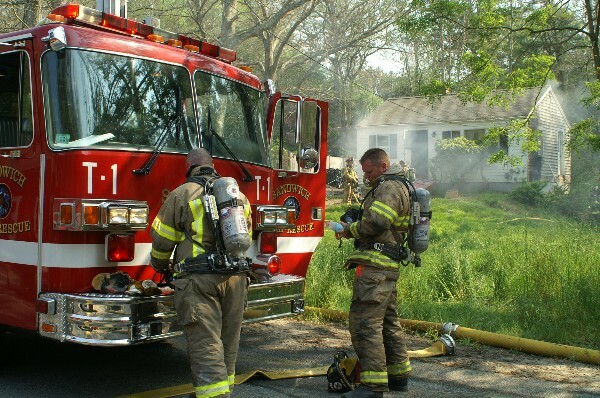 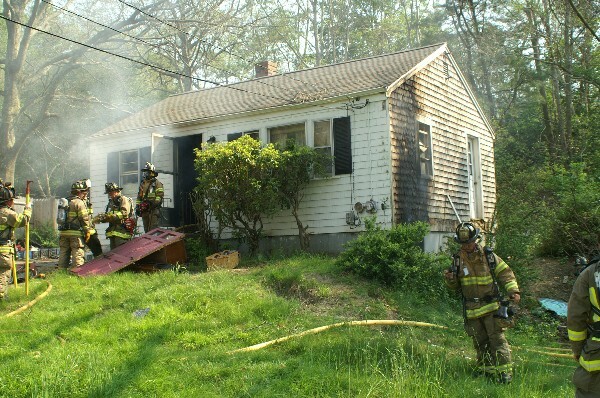 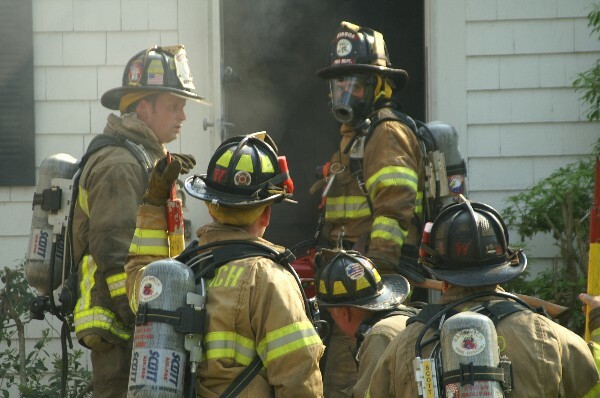 the house fire at 48 Main Street, Sandwich on Thursday June 9, 2005. 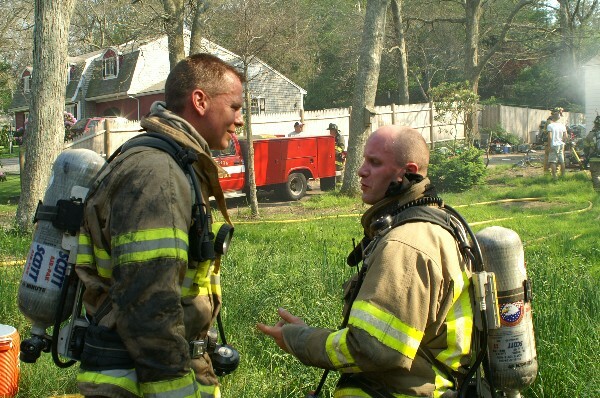 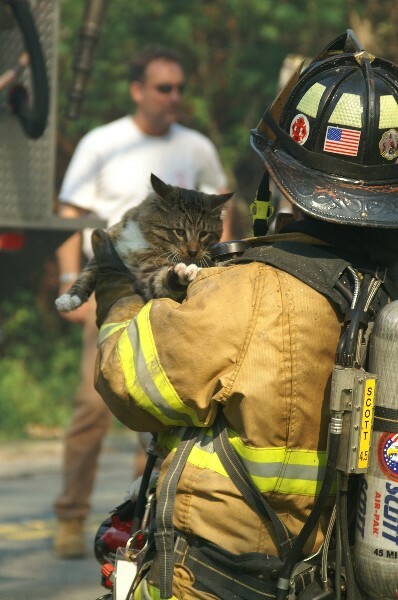 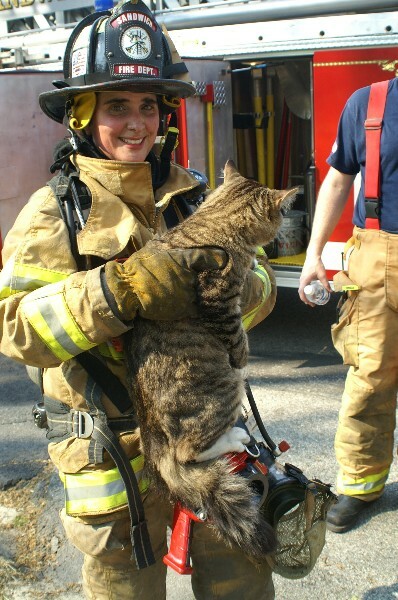 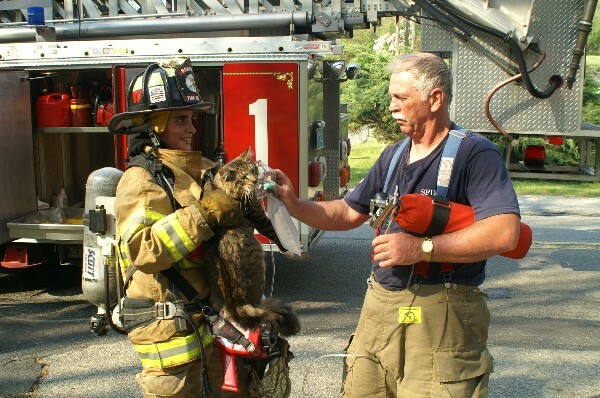 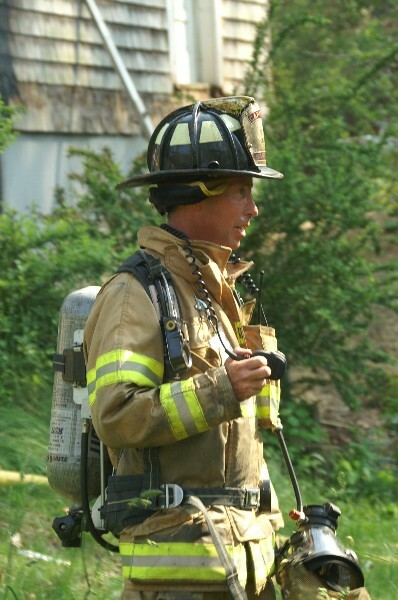 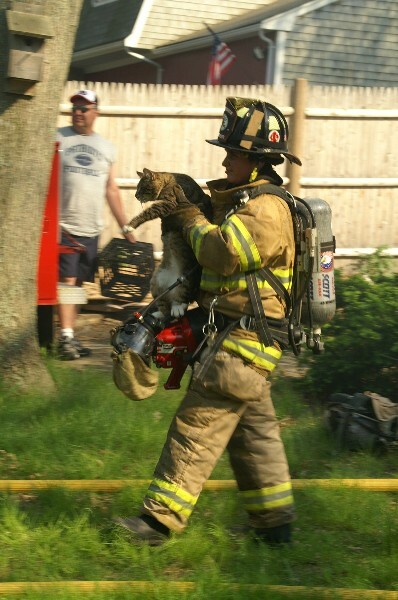 Firefighter Tammy Pimentel and Robert George administer oxygen to the cat. 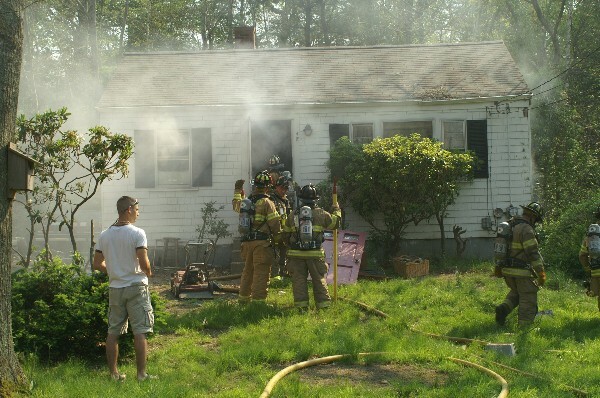 at 48 Main Street fire. 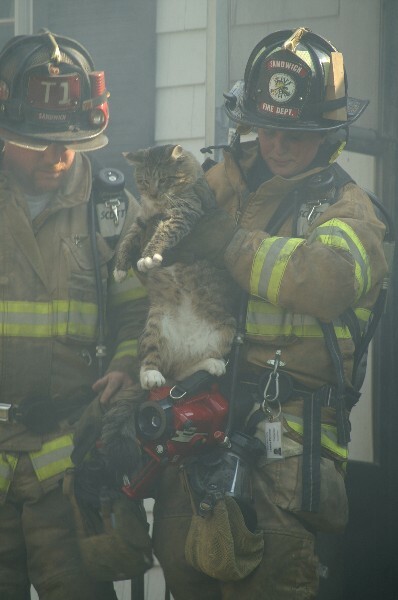 and quickly knocked the fire down.